Is your toilet running nonstop or failing to flush? Whether it’s clogged or needs a new flushing mechanism, you can rely on the experienced professionals at Michael & Son to diagnose and repair the problem efficiently and effectively for an affordable price. When you need toilet repair or replacement in Wilmington, you can count on the plumbing experts at Michael & Son to get the job done! Our crew has completed extensive training and each of our plumbers is licensed by the state of North Carolina. Additionally, our team completes routine training to ensure that they are up-to-date on the latest repair techniques. Are you interested in finding out more about our Wilmington toilet repair services? 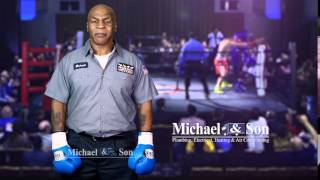 Call Michael & Son today to speak to a knowledgeable customer service specialist to learn more and schedule an appointment to get an estimate from an experienced plumber.